“Homepage.” Virginia-Highland Civic Association. Accessed April 4, 2016. http://vahi.org/. This website reports on all things Virginia-Highland. Everything from volunteer opportunities to the preservation and history of the area are easily accessible from this webpage. The information I obtained furthered my knowledge of the area greatly. Scans of some of the original historic maps of Virginia Highlands, some as early as 1871, show how the area has transformed over time. The maps show the slow but steady increase in industrialization and development of the area, thus showing in detail how the built environment was formed. 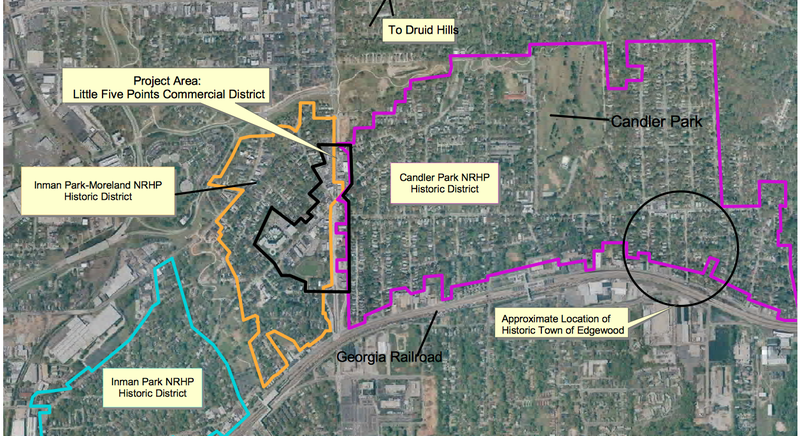 The site lists all the parks, which is important in shaping the area’s built environment, and where they are located. This site provides an array of information and is kept by the Virginia-Highland Civic Association, making it a reliable and useful source. Although this association provides more information on the area than any other site, the source could possibly be biased. Because the association only considers one view, details about the area’s history and current status may be left out. Overall, this source provides a bulk of information to further the viewer’s knowledge about Virginia-Highlands and built environment within the area’s borders. Virginia-Highland CivicAssn. Virginia-Highland: A Rich History, 2012. https://www.youtube.com/watch?v=ncw7Dkhc8D4. The short film goes deep into the history of Virginia-Highlands, going back to the first settlers of the area, which were Creek Indians. The community was agrarian based, but most of that was ruined after the Civil War. Most families had to rebuild their lives, due to the many battles fought during the war. As the town was rebuilt, trolley lines were built, which connected Virginia-Highlands to other surrounding Atlanta burrows and made travel more accessible. This video mentions multiple pieces of important information about the built environment that cannot easily be found on the webpage. This source is very informative and addresses several different controversial events that the webpage does not, such as the land lottery only offering land to free white males and the different opinions about the widening of I-485. The widening of the highway was controversial because it would have obliterated parks and hundreds of homes. Thus, citizens began taking a stand against it and formed the Virginia Civic Association to combat the highway widening. This short film provides a lot of vital information about the architecture and development of Virginia-Highlands and furthered my understanding of how the area came to be what it is today. Robert Craig. “Late Victorian Architecture: Overview.” Encyclopedia. New Georgia Encyclopedia, September 30, 2006. http://m.georgiaencyclopedia.org/articles/arts-culture/late-victorian-architecture-overview. This encyclopedia article provides insight to how architecture in Virginia-Highlands was created and where the inspiration was drawn from. Gustav Stickley and his magazine, The Craftsman, inspired the Craftsmen bungalow. This style of home, which still fills the streets of Virginia-Highlands today, incorporates exposed wood, front porch columns, and shingle siding. Craig mentions how this type of architecture symbolizes freedom and character, which are popular democratic morals for Americans. More specific information on where the inspiration for the built environment came from is found in this article, whereas the short film and webpage do not do so. This article provides direct evidence on how and why the homes in Virginia-Highlands look the way they do. This source varies from the others in that it focuses mostly on architecture rather than historical and present events in the area. Shepard, Andrew. “Criminal Records | Little Five Points.” Little Five Points, May 25, 2010. http://littlefivepoints.net/criminal-records. This article, written by Andrew Shepard, informs readers about the ins and outs of Criminal Records: the ambiance, the types of products sold, and the uniqueness of the shop. Criminal Records is the only record shop remaining in Atlanta, which contributes to the built environment of the city quite a bit. Because this shop is one of a kind it has formed its own community and provides customers with something no other shop within the city can. 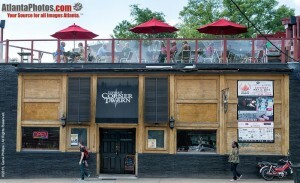 The article was posted on the Little Five Points, the burrow of Atlanta where Criminal Records is located, website. Because of this, there is some bias to what Shepard writes. He only mentions the positives of Criminal Records, how friendly the staff is, the reasonable prices, and the extensive collection of albums, comics, and other knick-knacks. Overall, this source provides useful information about Criminal Records and gives readers insight on what to expect when visiting the shop. Nessy, Messy. “Documenting the Disappearing Record Stores of Paris.” Blog. MESSYNESSY Chic, August 14, 2015. http://www.messynessychic.com/2015/08/14/documenting-the-disappearing-record-stores-of-paris/. source has bias, Nessy is definitely appreciative of music, but that is not cause for bias. 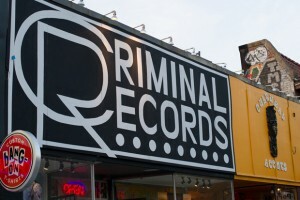 As said in my fourth annotation, Criminal Records is the last record shop in Atlanta. This blog post supports that in explaining how these shops have fallen off the grid in the past decades. This post provides great insight into the record industry and incorporates some great photography as well. “City Cafe: History of Little Five Points.” Atlanta’s NPR Station. Little Five Points: 90.1 FM WABE. Accessed February 26, 2016. http://news.wabe.org/post/city-cafe-history-little-five-points. This radio broadcast illustrates the fruitful history of Little Five Points; it is not just a “hippie” burrow of Atlanta, but a site with rich background that has shaped the built environment of the city. The author of a recent book about the area, “The Highs and Lows of Little Five: A History of Little Five Points”, spoke during the broadcast. Author, Robert Hartle Jr., spoke to the NPR host in the center of Little Five Points. He explains the evolution of the area, in that it thrived during the Great Depression, but began to sink during the 1950’s when schools integrated. Listeners can hear as Hartle points out landmarks, like the Corner Tavern, and elaborates on their history. The tavern was not just a place to drink and mingle, but also a meeting place where the community gathered and held discussions. The area is so much more than it looks, he explains, and has vast history for such a small burrow of the city. This broadcast provides an aural source for people to learn more about Little Five Points. There may be some bias because the author has written a book about the area, so he is clearly passionate about it. Hartle only mentions the upside to Little Five Points. Generally, this source fits in well with my other sources and provided me with new facts about the site. Board, Editorial. “Atlanta’s Diversity Is Cause for Envy.” Magazine. Creative Loafing Atlanta, December 22, 2010. http://clatl.com/atlanta/atlantas-diversity-is-cause-for-envy/Content?oid=2543183. In Creative Loafing’s article, Atlanta’s Diversity Is Cause for Envy, the Editorial Board enlightens readers on the noteworthy integration of Atlanta compared to other U.S. cities. In the year 2000 an unseen line existed along I-20 that seprated the “black” and “white” Atlanta. Since then the line has significantly dissipated due to the integration of these two neighborhoods along with outsiders from various backgrounds moving in. This will help Atlanta move in the right direction and maybe set an example of post-racial equality for other cities around the country. This article helped me to better understand how racial integration in Atlanta is at a steady growth rate, which in turn shapes the built environment. Before reading this I was unaware that the I-20 ‘line’ was so severe. I chose this source because it offers information that none of my other sources have thus far. This article showed me a different side to the built environment and that other factors besides architecture have impact on shaping it. Lisa Mowry. “Virginia-Highland Abode.” Magazine. 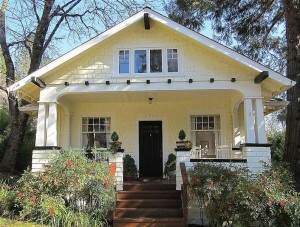 Atlanta Magazine, Spring 2011. http://www.atlantamagazine.com/homeandgarden/virginia-highland-abode/. In this magazine article for Atlanta Magazine, Lisa Mowry goes into detail about local Atlantan, David Scrulock’s, humble abode tucked away in the Virginia-Highlands. The article describes how three talented individuals, an interior designer, a contractor, and an architect, transform the 1920’s Craftsman bungalow into a cozy, modern home that still recognizes its Craftsmen roots. The home is equipped with an outdoor space, a two-story add on in the back, and a backyard pool. 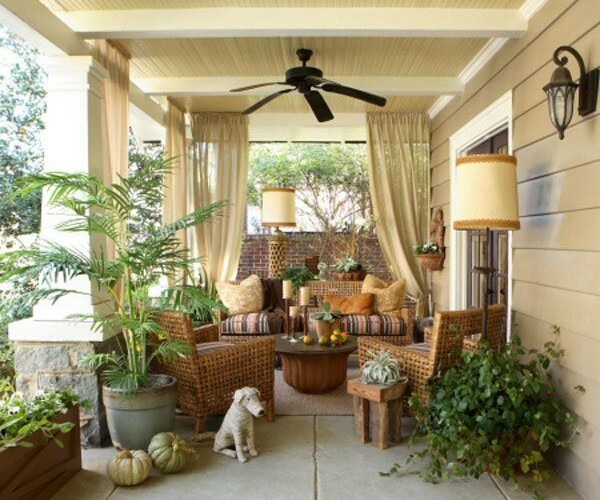 Scurlock describes the home’s side porch as, “the perfect place for a Southern porch party”. The kitchen has a touch of Craftsman magic with natural wood and earthy colors. This all being said, along with the lovely photos displayed within the article, this home is clean, natural looking, and suburban. 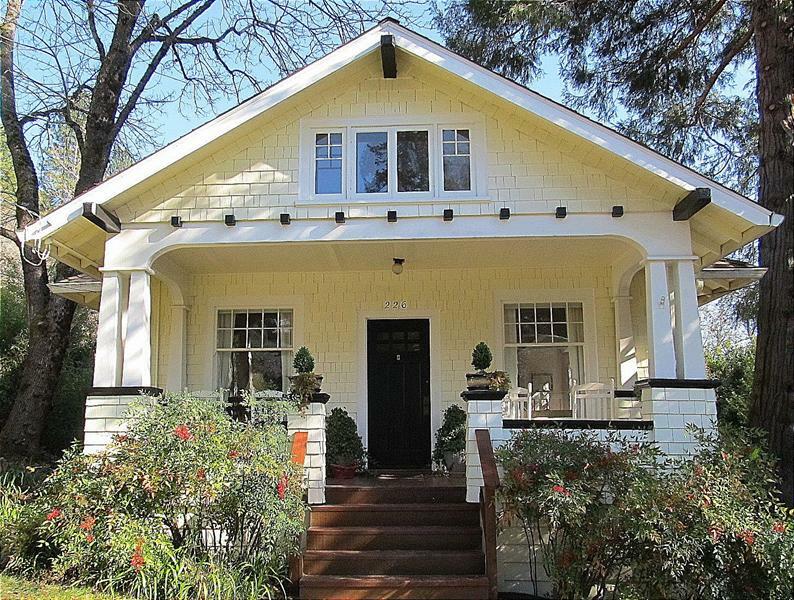 This article furthered my knowledge of the Craftsman bungalow architecture, which is mentioned in a few of my previous sources, and the overall mood and built environment of the Virginia Highlands. The Virginia-Highlands are not only urban, but also suburban and with homes like these I can see why it a sought after spot to settle down. I did not find this source to be bias; I think the author did a great job of describing the home and how the team chose to remodel it. “Microsoft Word – L5P_ECA.doc – Little Five Points Commercial District.pdf.” Accessed April 1, 2016. http://www.eca-usa.com/files/Little%20Five%20Points%20Commercial%20District.pdf. This report by the Environmental Corporation of America informs readers of the developmental history of the Little Five Points Commercial District in Atlanta. The area is a great example of the city’s growth and expansion. The built environment of Little Five Points suggests that it has historical ties to what Atlanta used to be, which evolved from farmland, to Victorian estates, to what it is today. The eclectic space reminds city dwellers of the evolution of the city. 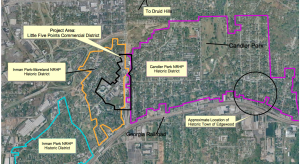 The maps throughout the report were very helpful in mapping out where Little Five Points is located in relation to parks and other parts of the city. 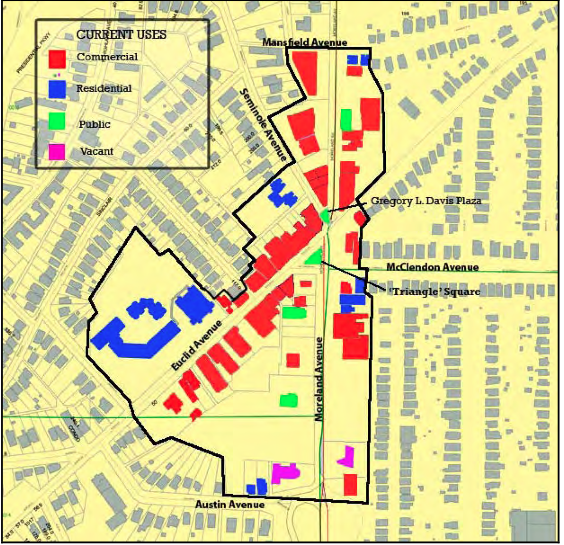 One of the maps, within the trace outline of Little Five Points, color codes what structures are residential, commercial, public, or vacant. 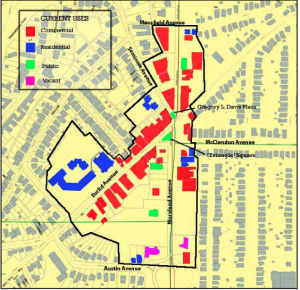 These maps alone tell me a lot about the built environment of Little Five Points. The extensive report goes into a detailed evolution of the Little Five Points commercial district and I think this would be a great asset to the research for my final project. I chose this article because it is solely focused on Little Five Points and is more detailed than other sources I have found about the area. Discover Atlanta. Atlanta’s Diverse Neighborhoods. Atlanta, GA, 2012. https://www.youtube.com/watch?v=RbpJ-ReJHhQ. This informative video by Discover Atlanta shows viewers the different hubs in the city of Atlanta. The video mentions and shows popular attractions around the city: Centennial Olympic Park, the Georgia Aquarium, the Georgia Dome, and The High Museum of Art. The neighborhoods that the video describes each have their own look and description, which differentiates them, but also allows the viewer to see that all the areas flow together and connect rather than being secluded from one another. This source is relevant to my built environment analysis because it directly compares Little Five Points to Virginia Highlands. Little Five Points is mentioned first as being “edgy and quirky”. Right after the video describes that, it switches over to filming the Virginia-Highlands with the segue, “If you’re a little more clean cut, follow North Highland the Virginia-Highlands”. This source will also be helpful for my analysis because it conveys information through film, which is something only one of my other sources provides. I think this source could potentially have some bias due to the fact that it is only briefly highlighting the parts of Atlanta, so it only focuses on the positive aspects of each neighborhood. 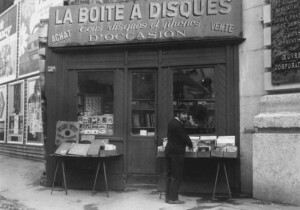 The author of this article, who goes by the penname Messy Nessy, writes about the history and unfortunate disappearance of record shops in Paris, France. The record store is a dying breed in today’s world. The streets of Paris used to be filled with these shops that held decades of musical history within their walls. Nessy writes of the slow drop off of some of Paris’ most well known record dealers. Thomas Henry’s website, Disquaries de Paris, documents the disappearance of these shops in an interesting way. This is the website from which Nessy gets most of her information. What sparks the reader’s attention is the way Nessy displays a side-by-side comparison of photos of the old record shop storefronts and what replaces the shops in modern day Paris. I chose this source because it is specific in mentioning how sparse record stores have become and pays tribute to the rich history they provided. I would not necessarily say this source has bias, Nessy is definitely appreciative of music, but that is not cause for bias. 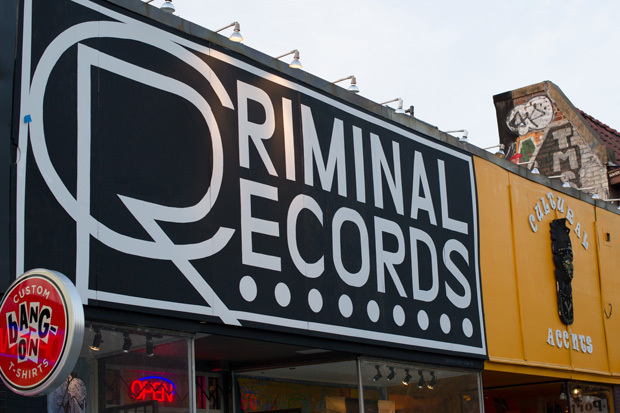 As said in my fourth annotation, Criminal Records is the last record shop in Atlanta. This blog post supports that in explaining how these shops have fallen off the grid in the past decades. This post provides great insight into the record industry and incorporates some great photography as well.